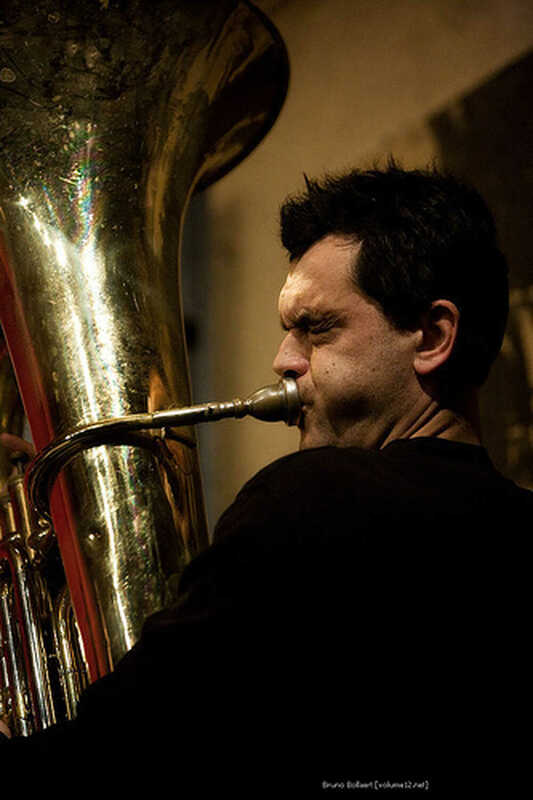 "Michel Massot is a pleasantly disturbed, classically trained musician who in his 25 years of musical existence has shown the world how a tuba likes to be played" It says on the site "Jazz in Belgium". At Opatuur we met him through the trio with Marine Horbaczewski and Tuur Florizoone. 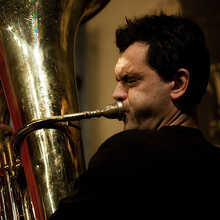 But he is best known from Trio Grande and the Rêve d'Elephant orchestra. Bram De Looze and Bert Cools are two of our most promising musicians. We mainly know Bram De Looze from the Lab trio and is also the winner of the Sabam jazz award for young talent. Bert Cools, one of our best guitarists, was "artist in residence" at the Trefpunt in Ghent last summer.